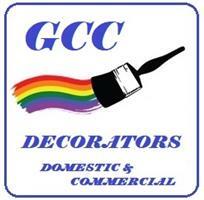 I have over 40 years experience in the painting industry. I started painting when I left school many years ago. While doing my apprenticeship I worked for a couple of decorators who mostly did domestic painting, so after I gained experience I branched out on my own setting up my small painting company. I then also branched out to the commercial side.I gained a contract with PJ Livesey builders which is still ongoing after 20+ years and have worked for other companies while still doing domestic properties. Lately I have decided to go back to mostly doing domestic work with a smaller work force but will consider any job no matter how big or small. Thank you for taking the time to read this and you can contact me on 07887 717759. Please take time to view pictures of our work in the gallery further down the page. Greater Manchester, Manchester and more.